Discussion in 'iPhone and iPad Games' started by psj3809, Apr 23, 2015. Finalist in the CVA videogames awards. Nominations: Best Audio, Best Original Music, Best Indie Game and Best iOS Game! 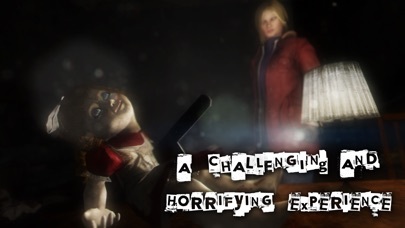 "The most exciting horror game of 2015." 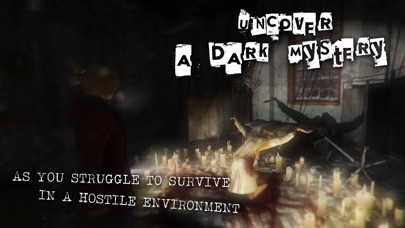 - AppSpy "The developers have managed to craft a genuinely unsettling game with a moody atmosphere and masterfully engineered scares." 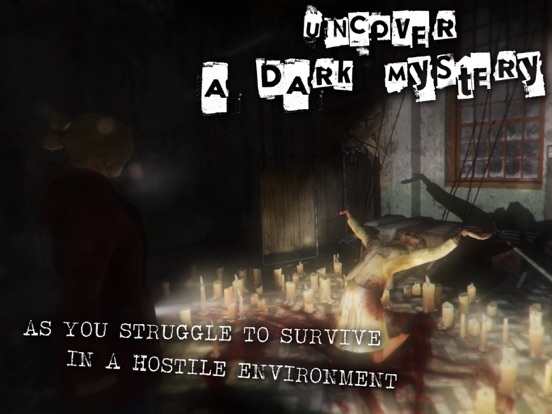 - AppSpy "Forgotten Memories is an atmospheric tale of horror" - 148Apps "It's a well put-together tribute to survival horror games of yesteryear." 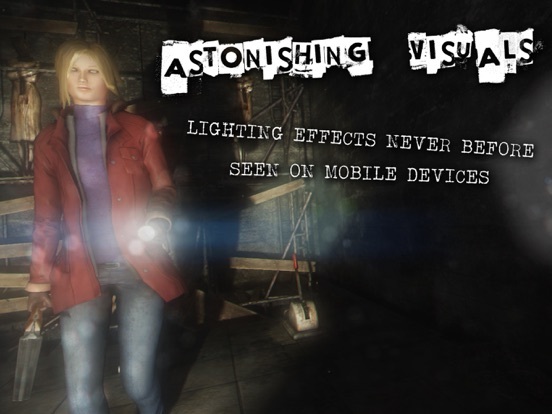 - PocketGamerUK "The game is easily recommendable for those looking for that Silent Hill feel." - Destructoid AppStore customer rating: 9.5 out of 10! TAKE A DEEP BREATH AND GET READY FOR THE HORROR OF FORGOTTEN MEMORIES. 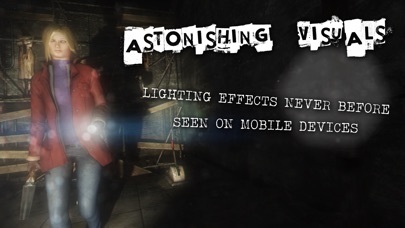 Discover a true gaming and narrative experience on your iOS device. In Forgotten Memories: Alternate Realities, you will play Rose Hawkins, a strong independent woman looking for Eden, a missing child. Rose wakes up wounded in a strange place she doesn't recognize. While looking for the young girl, she will find herself locked in a never ending tragedy; frozen in time. Rose will need to confront her deepest fears to unveil the mystery behind her terrifying investigation. 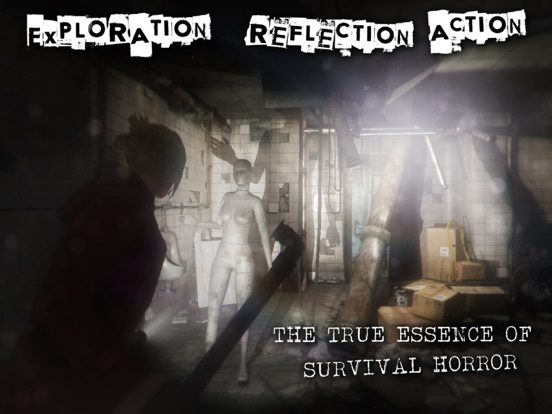 + OLD SCHOOL SURVIVAL HORROR+ Forgotten Memories is a third person Psychological Survival Horror game combining exploration, reflection, puzzles, action and survival where the gameplay is focused on fear mechanics. A true spiritual successor of the greatest horrific games from the 90's. 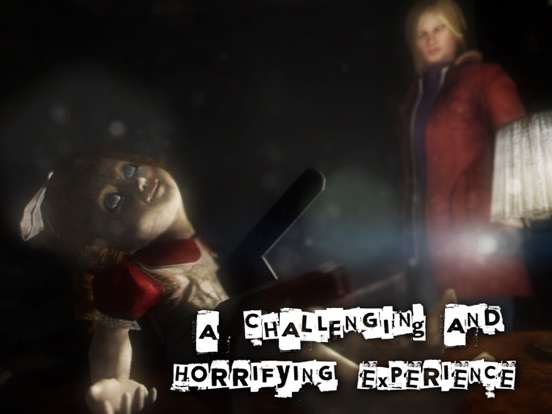 Forgotten Memories is a classic survival horror game. + A GREAT PLAYER EXPERIENCE+ Forgotten Memories combines deep psychological story, beautifully rendered environments, and smooth gameplay action into a fantastic horror experience you will never forget. Enjoy incredible voice acting with, among others, Guy Cihi and David Schaufele (James Sunderland and Eddie Dombrowski from Silent Hill 2). Master the game with accurate touch systems. 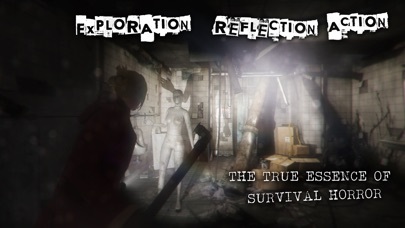 + FEATURES OVERVIEW+ • Classic survival horror mechanics • A deep narrative and climatic psychological horror experience • High-end and smooth 3D graphics (HDRL; Dynamic Lighting / Shadows; Multiple post-processes) • Challenging gameplay (Limited save points; few med kits; restricted ammo; unpredictable environments; adaptive enemies) • Highly replayable; Unlockables; Game Center achievements, challenges and leaderboards; In game ranking stats system. • Accurate touch controls • No in-app purchases. We don't sell any weapons, ammunitions, or anything that will impact the game experience. You will be on your own ;) • MFI controller support Supported Hardware : Any iOS device supporting arm64 architecture. Future updates: We will keep improving and updating the game with new content and features. Important: MFI controller support is partial. Menu navigation with MFI will come in a future update. Finally out !! Downloading now, looking forward to this one ! Aaand there we go. Bought, downloading. Downloading as well here....I hope this game was worth the wait. Might I ask how long is this game ? I didn't join in the hype so I know pretty much nothing about this. Heard someone say that's around 4-6 hours long, a good lenght IMO for a mobile game. An Absolute Must Buy. Game of the Year contender. Amazing game that will easily surpass the hype, its that good. Everything anybody could want from a horror game on any platform at all. It really nails a fear inducing atmosphere that wil scare the bejaysus out of you. Even more so if you're brave enough to play it in the dark with headphones. Now that's really scary. Plus it looks downright gorgeous and runs at a solid 60fps on newer devices. just to come close to. (and will be featured quite heavily by Apple this week and going forward, its that good). Not going to ruin it for anybody by spoiling the story but just so you know, there is a proper story and I think horror fans will love it and those not familiar with horror will just be amazed. Its horror so expect somewhat familiar themes and elements but that wont change the impact of it. The suspense and just how well the atmosphere creeps you out while playing, proper hair on the back of the neck standing up freaked the hell out kind of stuff. I genuinely cannot say enough good things about this one. A truly brilliant experience. And its on a device in my pocket. Cant get any better than that really. And just as a quick note for those concerned about "episodic" games, the next episode is well in development already. It is a while away yet I'd imagine because it will be even bigger and better, but it is very much in progress and not dependent on the chart performance of this one so have no concerns. Its also worth noting that each one will stand on its own and wont be dependent on the other to be followed story wise but they will be interlinked. Just go mash that Buy button!! You will genuinely be amazed that this kind of thing can be done on a mobile device. And don't even think about the price, it's HUGE value for money as its a true and proper five star game on any platform. Saving requires you to collect floppies in game and find computers to load save to. It's easier than it sounds but does require immersion on the players part. Discs and pc's are easy to find though once you explore a little bit. There's one at beginning once game launches into exploring in first corridor (after intro elements). Do collect as many discs as you find and every time pass a pic load a save. It is the only save option as no checkpoints. There was a lot of debate on it but auto save checkpoints took away too much of the fear/anticipation/stress/difficulty that is integral to the game. It makes you work at it but not too hard as any bit of exploring at all will net you a disc. Be selective with them though because they are not unlimited. And thanks for the stand-alone episodic info. My fault for having a 'quick' go ! Really impressed so far, i'll have a proper go in the dark with headphones as i think that'll be amazing what with the sounds i've heard in it so far! Congrats to Tato and his team. It would be nice to hear from all those who were "certain" this was vaporware. Not holding my breath, though . This Silent Hill fan is in for a treat! Yeah i thought the same. Dont get me wrong this obviously took a long time to say the last but the devs had to get it right. So far so great. Impressive that they went with that kind of save-system. I really like how older titles like Resident Evil handled that, coz it makes the player think about saving or pushing forward. However, i think it could potentially be bad for the average mobile gamer who plays casually, not be able to play in longer-than-usual sessions to maximize each save. You need to find floppy disks to save on any computer (it's part of the gameplay btw). Pretty much like Resident Evil Remake.